The SafetySystem Breaker is made up of Kevlarreinforced, high-strength nylon fabric. 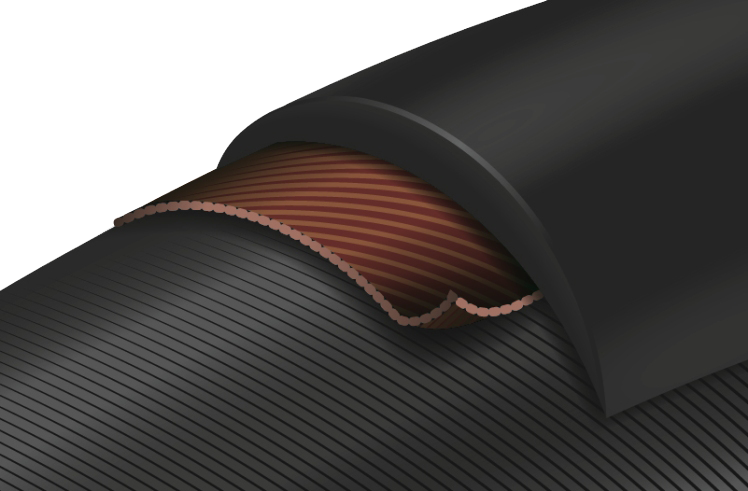 Puncture and cut-resistant but nevertheless light and flexible, the tire adjusts quickly to the surface below. Without raising the weight or rolling resistance noticeably, it protects the carcass against foreign objects and contributes to a longer lifespan of the tire. Tires with the SafetySystem Breaker also provide good comfort properties.